“And when he had opened the seventh seal, there was silence in heaven about the space of half an hour” (Revelation 8:1). Death, as in life, can be ironic. 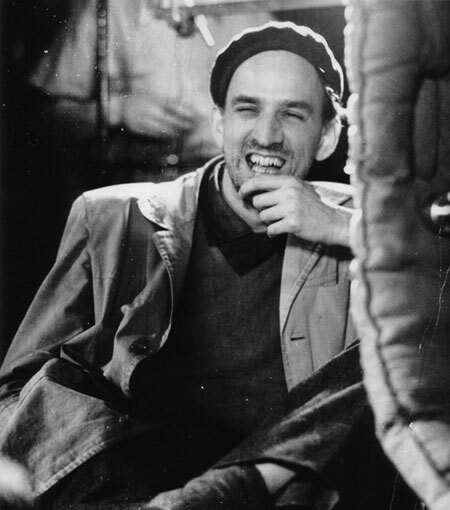 The passing of Ingmar Bergman in July last year provoked much outpouring of grief and respect for the man, one that was universal in its mourning for the loss of one of film’s most renowned directors. Ironic, because as a director, his films can be downright depressing. Witness Winter Light, a movie about faith (or its lack of) in religion, and The Seventh Seal (which we will look at closer). Such is the angst caused by his films and the man himself that the Swedish film magazine Chaplin published an anti-Bergman issue in the late 60s. And yet, here he lies, a man hailed by Swedish royal King Carl XVI Gustaf as “one of Sweden’s greatest directors and dramatists of all time.” There is Woody Allen, deifying Bergman as a film god of sorts. “The finest filmmaker of my lifetime,” he wrote in a New York Times article. A religious one, too. Perhaps Bergman himself may have had issues with this, but in the sense that his movies deals a lot with religion, he is a religious filmmaker. 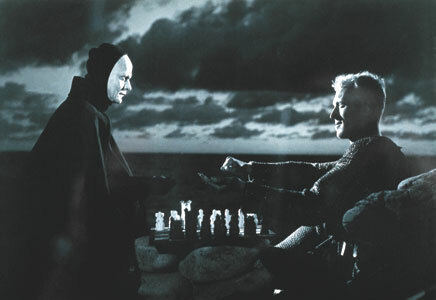 In this article, I will take a closer look at The Seventh Seal. Often described as one of the most influential films of all time, it is a movie remains in one’s consciousness long after its viewing. What struck me the most about this opening exchange is the way that Block kept calm. One would think that a more explicit reaction would be more appropriate, and yet, he asks Death to play a game of chess with him. The common reading into this is that he is playing for time, rather than for the possibility of winning his life back. But why? The knight’s loss of faith is often highlighted, but here I find it ironic and slightly more than interesting that despite his loss in faith, he still confesses to a priest in the church. It is the act of one who still believes in God, rather than the opposite. “I want to confess as best I can, but my heart is void. The void is a mirror. I see my face and I feel loathing and horror. My indifference to men has shut me out. I live now in a world of ghosts, a prisoner in my dreams.” It is this set of contradictions that keeps me intrigued every time I see this scene. Does he have faith in God, or has it been lost? What is it that drives this man on? Despite all this dark clouds hanging above the main characters, the movie is not without its bright moments. By and large, these comes from Jof, the juggler, and his wife Mia. They have a small child together, and Jof himself has visions of the Virgin Mary. 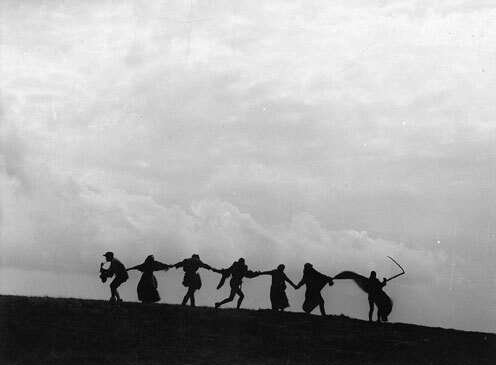 The final scene, that of Block and his friends and family being led by Death on the hill, away into the afterlife, has long been hailed as one of the most memorable scenes in cinematic history. In watching it again, the visual impact of the scene diminishes somewhat. Perhaps repeat viewings fails to capture, as it so often happens, the actual beauty of the scene. The spiritual impact, however, seeing the condemned marched to their end while Jof’s family lives on another day, remains. Once again, it struck me that while there may be death in The Seventh Seal, there is also hope, innocence, and salvation that can yet be found. What’s even more surprising is that that scene itself wasn’t included in the original script. Legend has it that Bergman had finished filming when he was lured by the sky’s formation. Hastily, he dressed various crew members in the actor’s clothes (the actors themselves had already departed), and shot that scene in a few minutes, without any rehearsals. 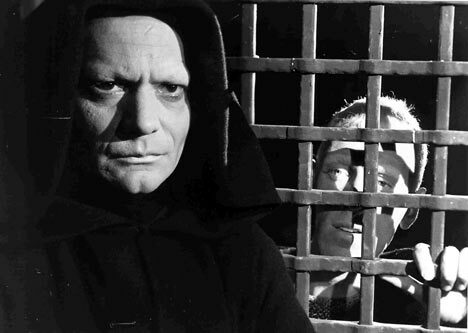 With Bergman, and more specifically with this film, it is close to 100% in his own interpretation of life and death. There is little room for you breathe and to make your own conclusions. He has spent practically the whole movie hitting organised religion with bricks and mortars. Having said that, the knight himself continues to question, and in that sense, continues to behave as if he still believes in God. Hope, then, as symbolised by Jof’s family, lives on. Today, 30th July 2008, marks the first anniversary of Ingmar Bergman’s death. Originally written for Sinema Malaysia, the in-house magazine of the National Film Body (FINAS), Malaysia, and first posted on Thoughts of Wisdom, Fikri’s other blog.